The Free Football Pack is done in time for Football Season! 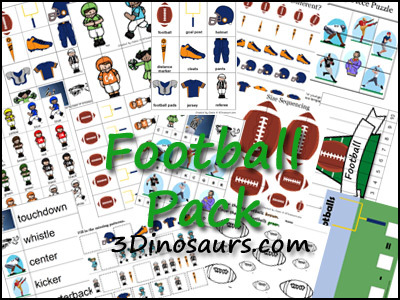 These Football printables are to be used with children from 2 to 7. These printables were made to go with the book My Football Book by Gail Gibbons . 3 Part Cards, Which One Is Different, What Comes Next, Pre Writing Practice, Pattern Cards, 10 Piece Puzzles, 4 Piece Puzzles, Beginning Sound, Size Sequencing, Color Matching, Math, Read Write the Room, Color the Pattern, Color by Size, and More. 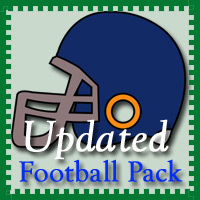 Check here to download the Football Pack! This entry was posted in printable pack and tagged football, printables, sports. Bookmark the permalink. 47 Responses to Free Football Pack! I’m so glad you will! I know we have here! Pingback: Freebie Friday: Breathe Right, Finish Quantum, Twinings Tea, and More! Just in time for the beginning of football season! Another wonderful pack and resource. How do you find the time? Thanks for linking up to my Enchanted Thursdays Blog Hop! The time comes where I have it and I let other things go in order to do for my kids. Next Pack will be a ways off. You are at it again! You crank those out so quickly and so well!!! I’m impressed =-) Another home run! Thanks for sharing with everyone and linking up to TGIF. You are welcome! My girls have been excited about it as well! Wow! Looks great. I bet many will get a lot of use out of this pack. I hope that people do! Thanks for this delightful set, and for sharing at Manic Monday. I love that you link your resources with good books for children! How awesome of you to share so much! Thanks so much, my kids will love this! Thank you for linking up with Tip Toe thru Tuesday. I hope we see you next week! You are welcome! It is fun to make some of them. With four boys I can certainly use a football pack! My family swears I was adopted, because I’m the only one who isn’t obsessed with football. 😉 Thank you for linking up to The Sunday Showcase. I have girls and well we watching football. I did not as a child but do now. 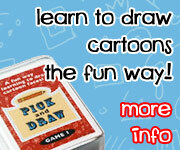 I think this one will be really popular! I have pinned it to our board. Thanks so much for all you do! It was fun to make the extra pack for this. Thank you so much for sharing these packs! I work one on one with my son a lot outside of school/ therapy (he has some developmental delays) and it was so exciting to see how much he loved the dinosaur pack. I can’t wait to try more with him in the coming months. Pingback: 50 Free Fall Printables - Look! We're Learning!